Arrive at Yangon International Airport and transfer to hotel. Start sightseeing of Yangon city center, City hall, High Court, Independence Monument, where you can see the bustling life of the city, then to the most spectacular religious edifice Shwedagon Pagoda for daybreak sunset. The Shwedagon Pagoda, one of the wonders of the world in the prominent landmark visible from miles around. The Pagoda has a height of 326 feet. The Pagoda where the four Buddhas’ relics were enshrined, is believed to have been built more than 2600 years ago, that is during the Buddha’s lifetime. It is the holiest place of worship to Buddhists all over the world and the whole complex is practically a work of art. A visit to Yangon is incomplete without a visit to the Shwedagon Pagoda. Overnight at the hotel. Start your Golfing at Pan Hlaing Golf Club. In the afternoon return to your hotel and free at leisure. Overnight at hotel. After breakfast, transfer to Yangon airport and fly to Loikaw. Arrival Loikaw transfer to hotel and sightseeing. Overnight at hotel. 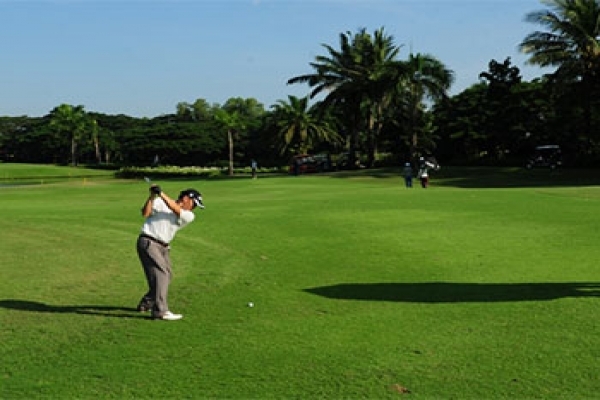 Start your golfing at Kandayawady Golf Club. In the afternoon return to your hotel and free at leisure. Overnight at hotel. Shopping until pick-up time for transfer to International Airport for departure. Ground transportation with air-conditioned vehicle (where available) with drivers. International airfare and airport taxes.